The Vendor Sales Report will show you all the products that have sold for a given date range, sorted by vendor. They also calculate total costs and profitability to give you a complete picture of your business. Select from the pre-set options or use the calendar to select the dates you want to see. You will notice PDF and CSV options to export just below the date selection. On either side of the date range, you'll find the option to filter by location or by integration. You can apply filtering by Category just below the bar charts using the "Filters" button. Use the search box to filter your results. 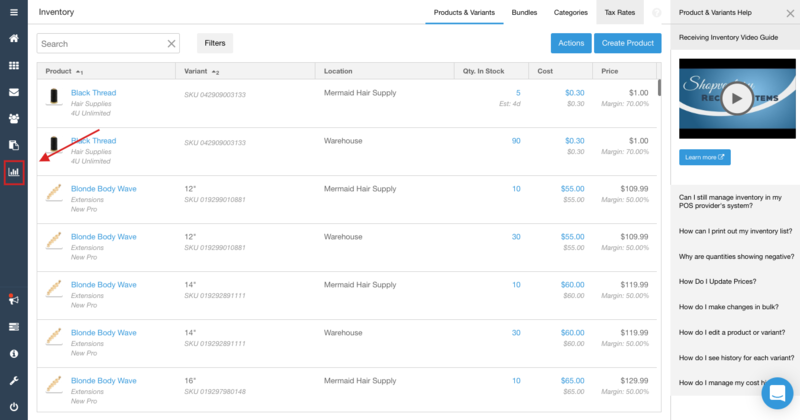 To view Product History and Cost History, you must have only one location selected if you have more than one Shopventory location. Filters will be applied to the PDF and CSV exports.